Hand crafted in the beautiful Bitterroot Valley of Montana, our products represent the finest in quality, artistic handcrafted beauty, and outstanding service. 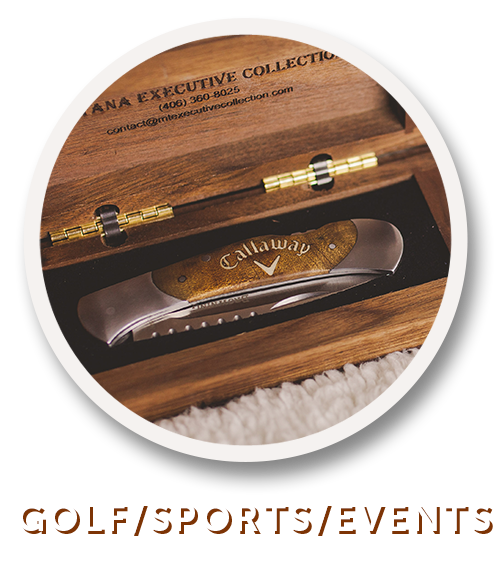 Our unique selection of products will impress any client, tournament winner, or outdoorsman. 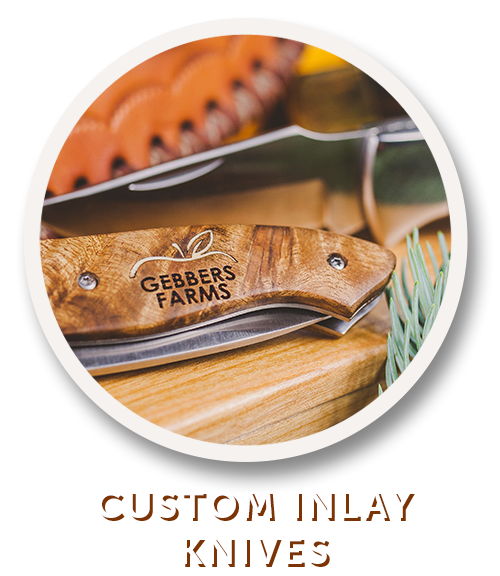 Our Custom Inlay Knives make the perfect high-end executive gift, employee recognition, personal gift, or event prize. 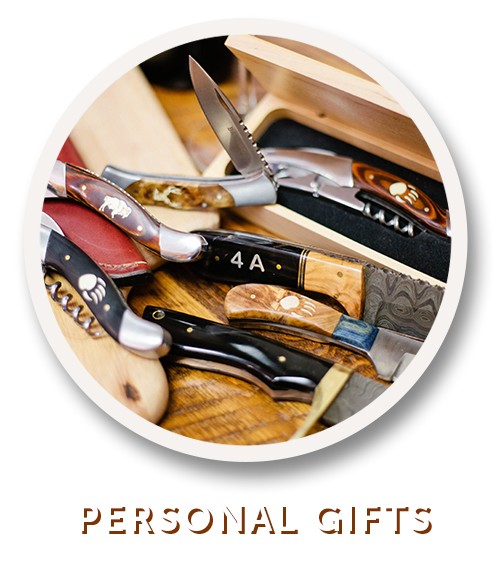 Choose from beautiful hand worked Damascus steel blades or industry leading stainless steel. We will custom inlay a personalized wildlife design, your logo or event. Master craftsman Dan Gwynn has been designing and inlaying beautiful wildlife series scenes for more than 30 years. Inspired by the grand Montana surroundings our wildlife series products are meant to appeal to all outdoor enthusiasts and nature lovers. Our hand crafted wine openers are perfect for the most discriminating tastes; an elegant and useful addition to any wine cellar or fine dining experience. Choose any custom inlay for your wine opener. A handsome walnut box is available as added purchase or wine opener sold separately. No fine dining experience would be complete without a beautiful set of steak knives. 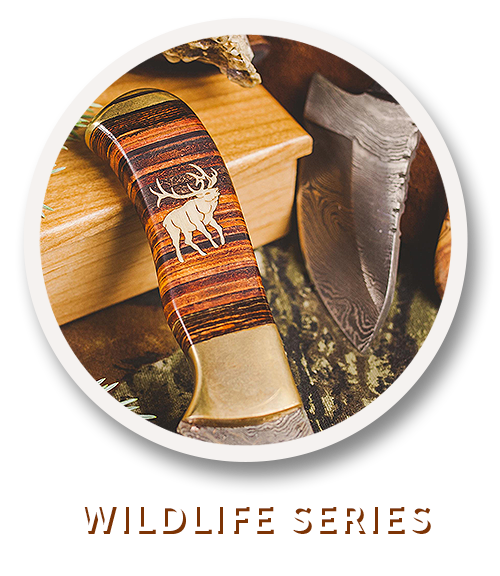 Our quality steak knives are available in any of our wildlife designs, or we will custom design one for you. An excellent Christmas or birthday gift, or simply as an elegant addition to your own dining pleasure, our steak knives are the perfect choice. A customized walnut presentation box is available for all of our products with just a small added cost. Present your purchase in a beautifully engraved case to complete your experience.